This post comes at the convergence of a number of events. First, there was the story on OSNews titled "Has the Desktop Linux Bubble Burst?" That generated a number of responses, one of them from Aaron J. Seigo. With all the drama buzzing in the background, I went back to my Suse 10.2 installation and started to look at the KDE desktop. When I installed 10.2 I installed both Gnome and KDE with an eye towards really testing and comparing both. I've slowly grown dissatisfied with Gnome over the past year, and I'm ready for a real change. 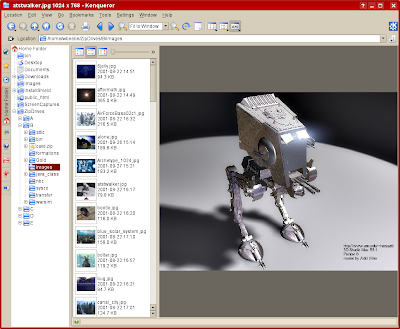 I've played with KDE in the past, and I've started to use the underlying GUI toolkit, Qt from Trolltech. 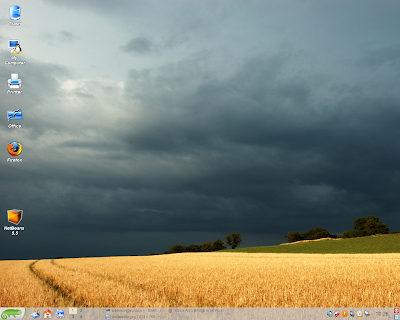 I've wondered if I should switch and use KDE as my default desktop. With Suse 10.2 it looks like the answer is yes. With both environments installed it was a simple matter to log in using KDE. The first thing I did to my KDE desktop was to change the blue background into something, anything, a little livelier. I like a mix of colors in my desktop theme, with some warmth to it, not shades of blue all over everything (but I am not a fan of Ubuntu's themes). I've been over-exposed to blue for 17 years, starting with OS/2 and extending through Windows. I'm tired of blue. With the KDE desktop I was able to go out to the net and get this particular desktop image via the applet functionality that lets you change the background. I then fired up Firefox and played with it a bit. The first thing I noticed was the rendering of the tabs on Firefox. On every distribution I've played with that came before Suse 10.2, the rendering of the tabs (and other controls) on Firefox looked pretty poor on the KDE desktop. 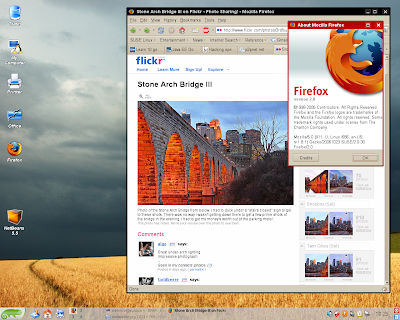 If you wanted Firefox to look decent, you ran it under Gnome not KDE. And I say this having experienced Firefox 2 on both Suse 10.1 and Suse 10.2. With Suse 10.2 Firefox 2 looks equally good under either KDE or Gnome. For my Firefox comparisons I was using ClearLooks on Gnome and Plastik on KDE. That lovely shade of red for the window border was picked by me. 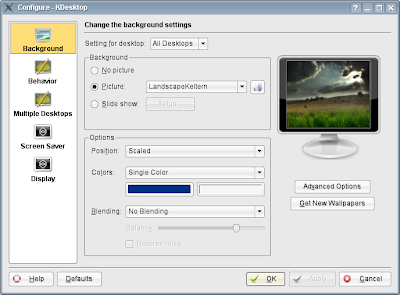 The ability to pick your window border color for a desktop theme doesn't exist in Gnome. It does for Windows, it did for OS/2 and CDE on Solaris, but I've never been able to do something that simple on Gnome. Like a lot of other simple things I should be able to easily do under Gnome, but can't. I've read many comments about the KDE desktop menu, some good and some not. I like it. I like it a lot. It responds quite nicely as the mouse moves over the tabs, and I like that fact that it doesn't grow all over the desktop as you drill down multiple layers. On a constrained desktop (such as a compact notebook) it makes efficient use of the available space, and it's just a lot easier (for me anyway) to quickly find what I'm looking for. It's a good unique addition to KDE and Linux desktop navigation. Konqueror has grown quite polished over the years. My only complaint, the same one I always have with Nautilus, is the default view does not have tree navigation on the left side. Unlike Gnome, however, I don't have to hunt down a second application to change the view. The ability to enable this feature is on Konqueror under Window | Show Navigation Panel, or you can press F9 when Konqueror has the focus to enable it. Navigation isn't limited to just a narrow tree down the side. Using the image viewing mode, I've got both the navigation on the far left and a narrow strip next to it to quickly look at images. The rest of the screen at the right lets me view the image. This image viewing capability comes in quite handy when browsing my every larger collection of digital images from my Olympus. Konqueror has moved far beyond just being a file listing utility into a valuable tool in its own right. I still don't care for it as a web browser (I turn to Firefox), but for just about everything else it's as good if not better than the other alternatives. The final reason (out of many) why I'm moving to KDE is Java. Up until Suse 10.2 and this release of KDE, I could not get anti-aliased fonts by default with Java under KDE. Now, with this version of KDE and Java 6, I get the same level of rendering quality under both platforms. 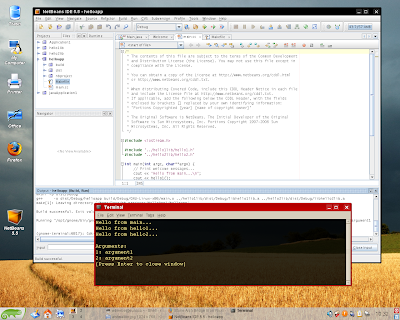 In this example I've created a simple C++ project inside of NetBeans 5.5. It might not be obvious from the screen capture, but the font rendering is very good and easy enough to read and work with for hours on end. With the high performance of Java 6, the right plugins for NetBeans, and the good looking font rendering, KDE can now be my default desktop, at least on this machine. It goes without saying that I need to install 10.2 on my Gateway notebook to fully test it's capabilities, but I have high confidence it will do just fine. Thom Holwerda spoke of a problem with Gnome in his article, the lack of core maintainers for Gtk+. I agree with him that the lack of Gtk+ maintainers has a negative impact on the overall quality of Gnome. Gtk+ is the foundation for Gnome, and frankly, that foundation has collapsed. 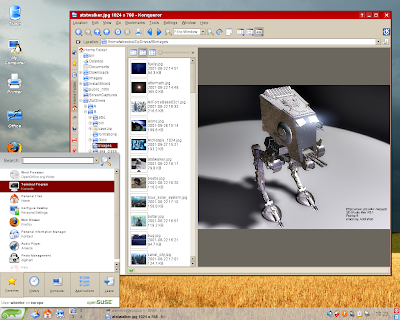 Gtk+ and Gnome were a response to KDE and Qt in the early days of the KDE desktop because Qt was not released under the GPL. Trolltech, the owners and maintainers of Qt, have long since addressed that issue, and Trolltech has continued to drive the features, performance, and overall quality of Qt to the point where it is one of the most polished multi-platform GUI toolkits around. And that quality adds to the quality of KDE. The motivation for Gtk+/Gnome's existence is gone, and has been gone for some time. The result has been the gradual eclipsing of Gnome by KDE, and it will only grow greater over time. 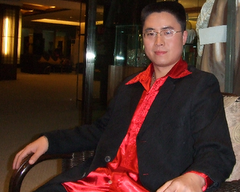 I believe that there's nothing that can be done for Gtk+, even if a miracle occurred and the right number of highly organized, superbly qualified software engineers suddenly appeared with a plan to fix the problems that beset Gtk+ and Gnome. Unfortunately finding such a group is nigh on impossible; they're already working for Redhat, Novell, Trolltech, Apple, and even Microsoft. The GUI toolkit is the foundation, the cement that helps build a great desktop environment. It takes years of vision and hard work to create it, and even more time to use it to build a great desktop and corresponding desktop experience. And all along the way the GUI toolkit needs nurturing to fix problems and evolve solutions to new challenges. Trolltech's Qt has this. Gtk+ does not. Starting with Suse 10.2, KDE has my vote. It's fast, good looking, polished, and it works in ways I've come to expect from working in other environments. Unless KDE does something truly horrible to mess things up, then that's where I'll stay from here on out. You can easily bring up the side pane directory tree in Nautilus by pressing F9 and choosing `Tree' from the pull down menu in the side pane. That's true, after you've gone to the trouble to bring up gconf-editor, navigated down to /apps/nautilus/preferences, and then enabled always_use_browser. Once you've done that then you can toggle the side panel tree navigation via F9. But until you take that first step with gconf-editor, you've got spatial view and there's nothing available in Nautilus while it's in spatial mode to put it in browser mode. Toggling back and forth between spatial and browser is no big deal with Konqueror. The odd fact is that toggling between spatial and browser directly with Nautilus was available with Suse 10 (right before it became Open Suse). Why it was dropped from the application in later releases is an infuriating mystery. The wallpaper is known as known as Landscape Keltern #2. You can get it via the "Configure - KDesktop" utility when you right-click on the desktop and select it from the properties menu, as shown below. 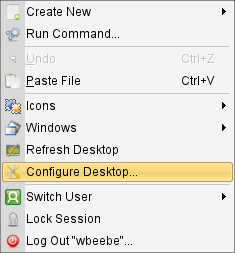 This brings up the "Configure - KDesktop" dialog. The first selection on the left is of course the background image. On the lower right click the "Get New Wallpapers" button. 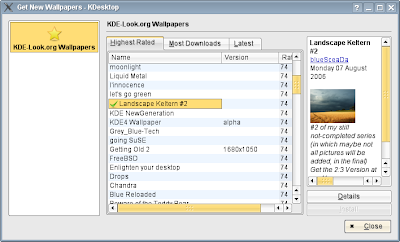 As you can see below, the "Get New Wallpapers" dialog presents a long list of wallpapers via the KDE-Look.org wallpapers section. Just click the one you want, and click the "Install" button in the lower right corner. After installing the wallpaper, click 'OK' on the Configure dialog, and you're on your way.